Which well-known American singer/songwriter guests on the track "Fill Her Up?" This contest has now closed. The winner was Leah Puplett who correctly answered James Taylor. 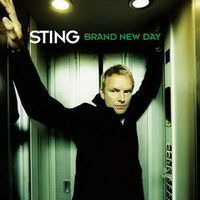 Sting..I honor,appreciate and fully enjoy your thoughts that are placed into a melodic journey...that's why I'm a great admirer.And I have had the great success of turning you on to my friends.